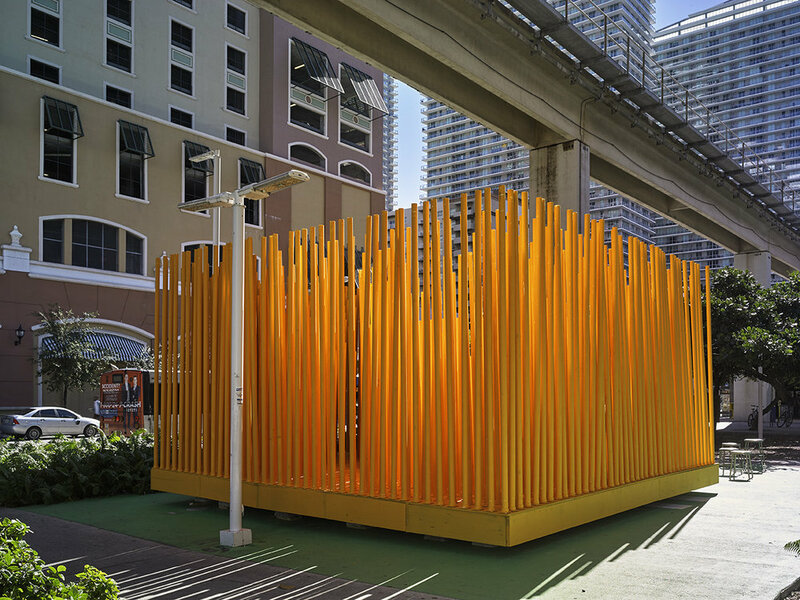 BRICKELL STAGE, 2017: The Brickell POP-UP Stage will be set adjacent to the Brickell station, in the City of Miami, during Art Basel Week, 2017. 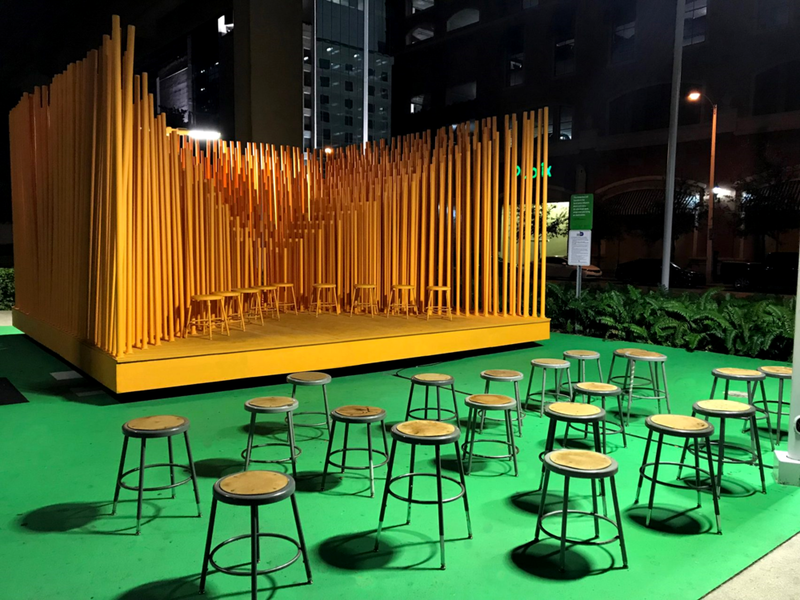 This open-air structure will be a temporary installation that will serve to create a sense of place with an elevated stage and flexible seating to host a variety of venues (both choreographed and spontaneous). 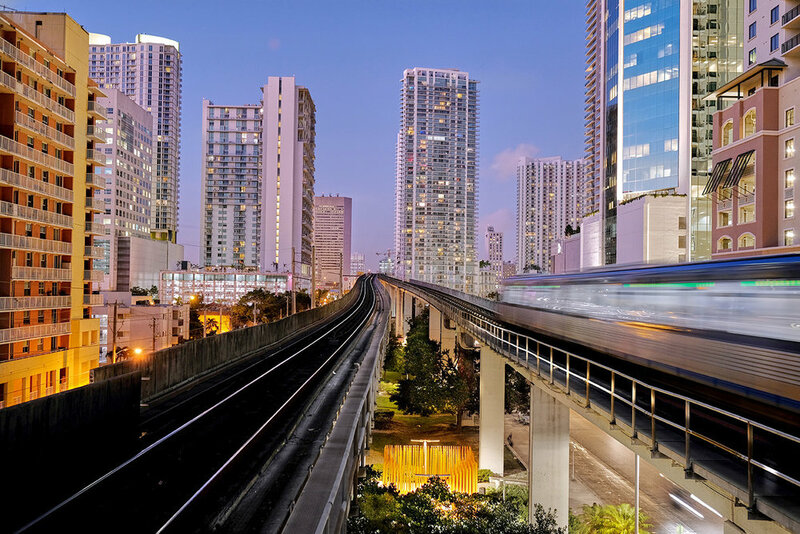 Brickell Stage will be visible upon exiting the Brickell station and will be set within the proposed area of the future Underline linear park. This location fosters a dynamic confluence of pedestrians, transit riders, cyclists, skateboarders, city dwellers, and tourists that intersect in the daily spectacle of urban life. The pavilion is designed to celebrate this experience by highlighting the theatrical nature of the place. 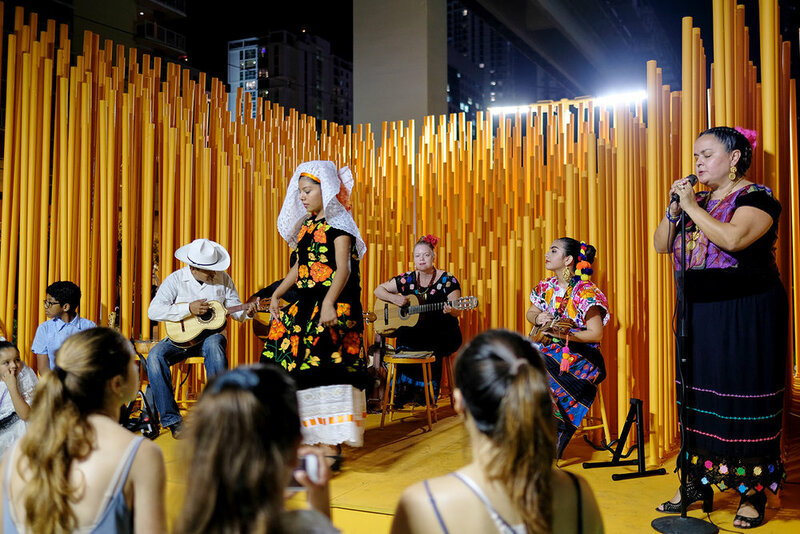 The project is composed of a pattern of 1001 painted rods that purposely decrease in precise mathematical increments from the edges to the center of the square platform to form an empty triangular stage space for music, poetry, dance, and drama performances. 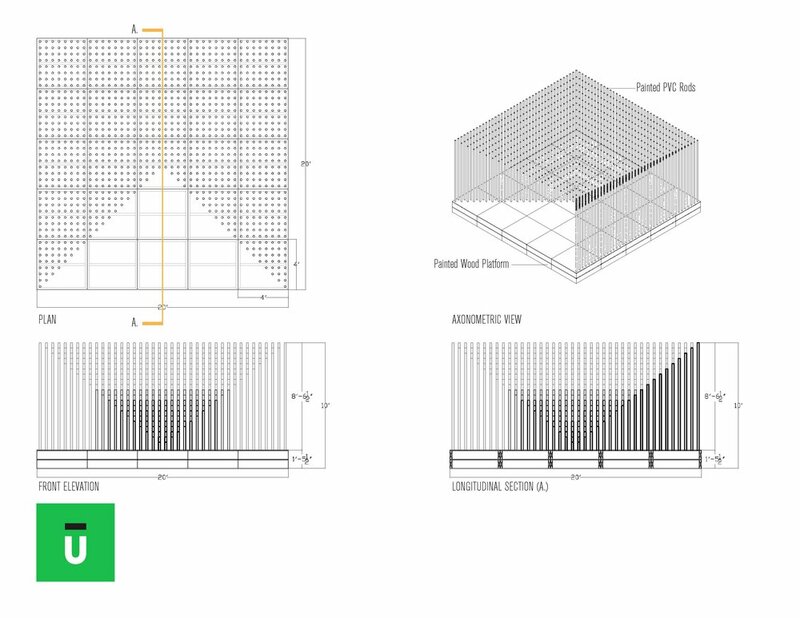 The design creates a forced perspective that focuses the attention of the spectators on the performers and heightens the visual experience for all. In the end, the rational sobriety of the overall form, is continually modified and animated by its users to create a new and spontaneous public space for the city. 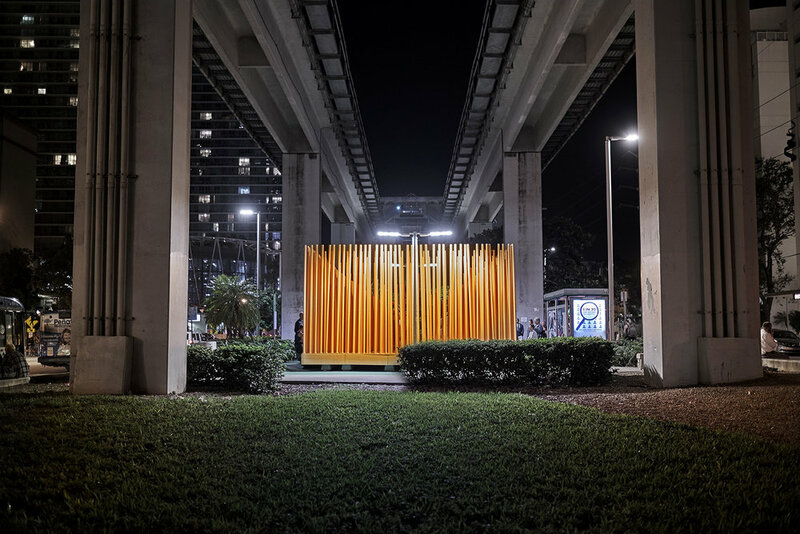 Funding for the project was provided by the Miami Foundation Public Space Challenge with collaborators including the Underline and the Frost School of Music. Design Team: Cristina Canton, Jaime Correa, Adib Cure, Steven Fett, Carie Penabad, Qiazi Chen and Bernardo Rieveling.